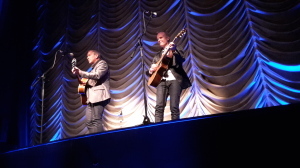 Went to the Victoria theatre, Devonport last night to see Mark Mazengarb and Loren Barrigar playing their particular brand of acoustic guitar. From the first note to the very end of their well deserved standing ovation and encore, there wasn’t a grumpy face in the audience. If you need to get some foot tapping time with a pair of the worlds best, their last show in Auckland is at the Vic tonight, starting at 8.oo pm. 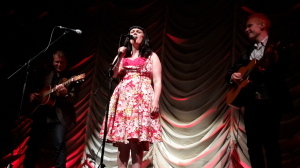 Guaranteed quality smiling time backed by some superb finger pickin’ mastery. 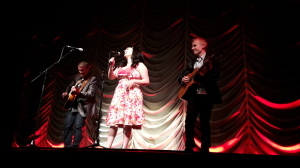 …………..oh, and last night they had a guest spot with International star Tami Neilson who just happened to be in the crowd.